For courses in Web Programming and Design: Numerous Mark-up / Scripting Languages, as part of the CS1 course sequence. Covers both front and back end web development. REVISED! Revisions to overall layout, including several new section types, better guide the reader and help readers distinguish advanced topics from more introductory material, allowing students to focus at a level appropriate for their learning. Focuses on today’s reality of web development and prepares students to anticipate future trends. EXPANDED! Increased coverage to reflect changes in HTML, CSS, and PHP over the past three years. NEW! New content addresses increasingly popular areas such as CSS3, version control, NoSQL, new tools, virtualization, and analytics. NEW! New content covering the most vital trends and innovation in the field since 2013. Other important technologies covered include jQuery, XML, WordPress, Bootstrap, and a variety of third party APIs that include Facebook, Twitter, and Google and Bing Maps. The text is the result of over twenty years of classroom experience (in college, university, and adult continuing education settings) teaching web development. Tutorial-driven programming content available online. These step-by-step tutorials use a combination of illustrations, short color-coded listings, and separate tutorial exercises. They are not contained within the book, but are available online to owners of the book at www.pearsonhighered.com/cs-resources. Each chapter includes learning objectives, margin notes, links to step by step tutorials, advanced tips, keyword highlights, end of chapter review questions, and three different case study exercises. UPDATED! Enhanced or created anew end-of-chapter projects, in-chapter exercises and listings, and additional online learning materials bring the content up-to-date. Code listings available online. 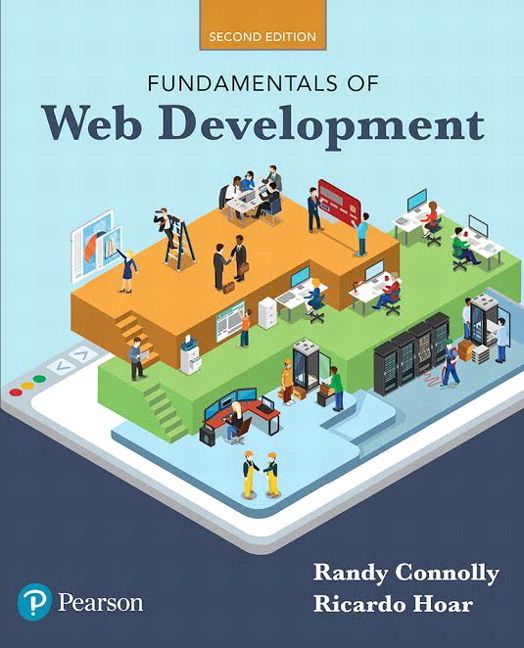 Many of the code listings used in the book are publicly available on GitHub (https://github.com/rconnolly/funwebdev-2nd-codelistings) and on CodePen (http://codepen.io/randyc9999/collections/public). Sophisticated, realistic, and engaging case studies. This book makes extensive use of three case studies: an art store, a travel photo sharing community, and a customer relations management system. For all the case studies, supporting material such as the business cases, use cases, design documentation, visual design, images, and databases are included. Content presentation is visually pleasing and explains complicated ideas not only through text but also through diagrams. Supports learning outcomes in various teaching scenarios. 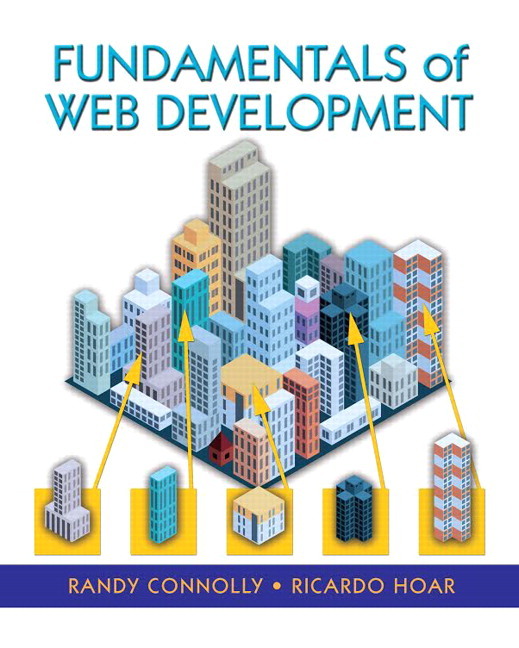 There are many approaches to teaching web development and this book is intended to support most of these approaches. Revisited and expanded coverage to reflect changes in HTML, CSS, and PHP over the past three years. Additional new content in several chapters to address increasingly popular areas like CSS3, version control, NoSQL, new tools, virtualization, and analytics (among others). Restructuring or small improvements (and bug fixes) to existing content. Revisions to the overall layout, including several new section types that better guide the reader with advice. Some changes to the page layout to help readers distinguish advanced topics from more introductory material, allowing students to focus at a level appropriate for their learning. All end-of-chapter projects, many of the in-chapter exercises and listings, and additional online learning materials have been revisited, enhanced, or created anew to bring them up-to-date with the changes made throughout the book.